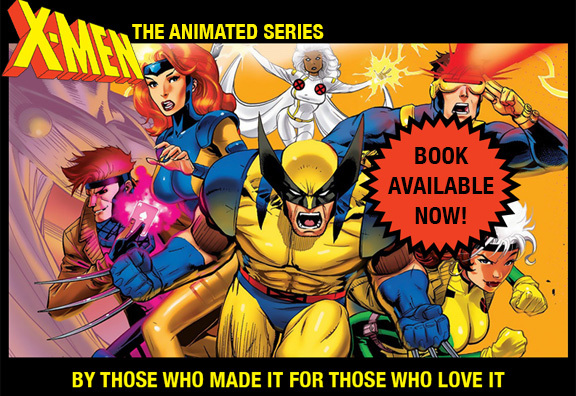 So the book on the making of X-MEN:TAS is finally on its way (pre-orders begin October 31!). “Set up a Facebook page about it,” everybody says. Okay. But we needed a fun new image, something to do with the book, for the page’s banner. So what comes to us, out of the ether, but a perfectly cobbled-together image from our long-time friend in Lincolnshire, England, “WolverSteve” (aka Stephen Paulson). Now every time you go to our new Facebook page (Previously on X-Men), you will be able to enjoy WolverSteve’s clever composition. If you like it, let him know. And as to our new Facebook page: It is specifically about the book. Or is trying to be. It doesn’t take the place of this site, to which we remain committed. ← X-Men BOOK at the Printer!